Brushing twice a day with toothpaste, flossing once a day, and limiting sugary snacks and beverages is how you do it. It’s simple but sometimes life gets busy and you might be tempted to skip it. Don’t. A bright smile makes you feel good inside and out. Make sure to see your dentist regularly, too.Some things to protect your smileSealantsDental sealants are a type of special plastic coating that act as a barrier, protecting cavity-prone areas. They are usually applied to the chewing surfaces of back teeth and are sometimes used to cover deep pits and grooves in other teeth. Sealing a tooth is fast and easy. As long as the sealant remains intact, the tooth surface will be protected from decay. Sealants hold up well under the force of normal chewing but sometimes a reapplication is needed. Talk to your dentist about sealants. 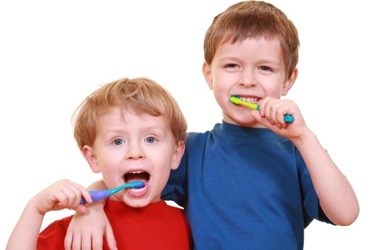 Remember: Just because you have sealants doesn’t mean you don’t have to brush and floss every day. Sealants are added protection against decay!Mouthguards If you play a sport or are active in things like skateboarding or snowboarding, it’s a good idea to wear a mouthguard. It may feel funny at first, but mouthguards are the best thing you can do to protect your teeth from getting broken or knocked out. They cushion blows that would otherwise cause injuries to the lips and face and sometimes even jaw fractures. There are different kinds of mouthguards; ask your dentist which one is right for you.BracesIf you have a bad bite or your teeth are crooked or out of alignment, you may benefit from braces. Braces can help improve your smile and make your teeth straighter. They can also improve your dental health and overall health because untreated orthodontic problems can make it hard to bite and chew and can interfere with eating. If you have a bad bite, you may also be prone to cavities or gum disease because it may be hard to clean your teeth. Braces come in many different styles, including tooth-colored plastic braces or traditional metal braces that come in a variety of colors. Removable clear retainers can sometimes be used. Talk to your dentist to see what the best choice is for you.